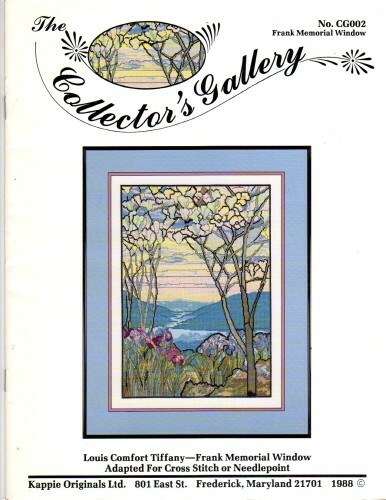 Kappie Originals The Collector's Gallery Frank Memorial Window Cross Stitch and needlepoint Pattern leaflet. Adapted from Louis Comfort Tiffany. Stitch count 186w x 260h. This chart appears to be in new to like-new condition.